Like many of you, we’re inspired by the momentum of the #MeToo and #TimesUp movements. There is real energy, as women around the world say ‘Enough’. It’s clear that from Hollywood stars and Australian news anchors to women working in garment factories in Cambodia, sexual harassment and violence affect women globally. 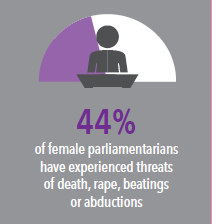 While women’s experiences may differ based on where they were born, their class, race, age, sexuality and other factors, their experiences are underpinned by a common factor: abuse of power. And it’s an abuse of power that remains all too common around the world. For many women, harassment or violence occurs in the course of their work, or going to and from work. In Cambodia, women make up 90% of workers in the country’s $5 billion (USD) textile industry. Last year IWDA partner, Workers’ Information Centre (WIC), conducted a survey of women garment workers in Cambodia. The survey found that nearly 40% of women had experienced sexual harassment, and that of these women, around half had experienced harassment on their way to and from work. 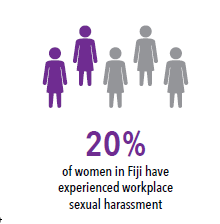 Whether it is being judged by what you wear or how you look rather than your role and skills, being cat-called in the street, feeling anxious walking home from work after dark, or being threatened or pressured at work: every day, women around the world deal with the real consequences of being sexualised or harassed or assaulted. Yet despite the flood of women finally feeling empowered to share their experiences, we’re still not talking enough about why sexual harassment and violence occurs, and why it has persisted for so long without consequences. Why not? Because what sustains both the behaviour and the impunity is POWER. Or more specifically, inequality of power. Or even more specifically, some men abusing the power and privilege that comes with patriarchy – the system that sustains the power of a few, while it marginalises or silences many women. And it’s going to take a transformational shift in society to overcome it. No woman should have to experience sexual harassment and assault at work. Not in Australia, not in Cambodia. Not now, not ever. Over the next few weeks, we’ll share a series of stories about inspirational individuals and organisations working to end the abuse of power. Join us to accelerate the momentum for a safer and more equal future. 4. Cambodia stat: CARE International (2017) ‘I know I cannot quit.’ The Prevalence and Productivity Cost of Sexual Harassment to the Cambodian Garment Industry. Canberra: CARE Australia, p.5. Help end sexual violence & harassment. What is it like to have your period in a developing country?